New England Patriots running back Rex Burkhead returned to practice on Thursday, but he's still got a ways to go until coming back to game action -- Week 13 is the set return date, on Dec. 2 against the Minnesota Vikings. 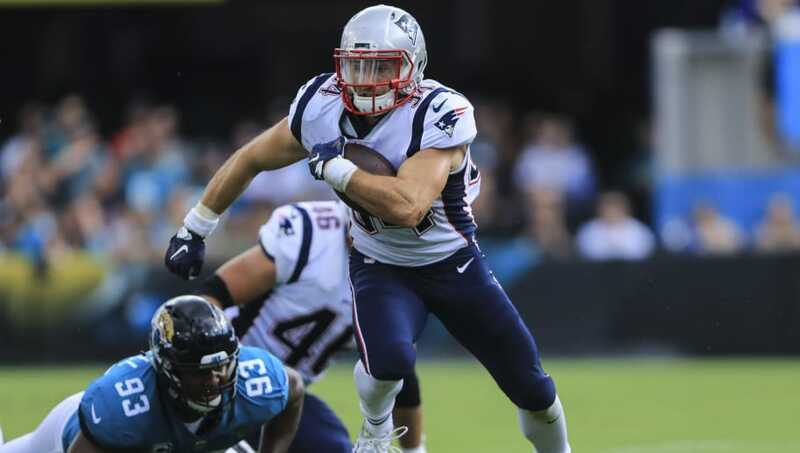 When Burkhead does return, he'll be battling it out for touches with fellow running backs James White and Sony Michel. In the past, Burkhead could've gotten extra snaps in the slot, but the Patriots have a healthy/unsuspended Julian Edelman and newly-acquired Josh Gordon added to the mix, and there's no guarantee either of them will see less time on the field. The Patriots are currently on a six-game winning streak, making it likely that head coach Bill Belichick won't want to mess with a good thing. Even when Burkhead was healthy this season, he failed to exceed eight FanDuel fantasy points in each of his three games. Just added Rex Burkhead in a bunch of deep leagues. Back at practice - eligible to return in Week 13. Given how often the injuries have piled up for the Pats this season, especially in the backfield, it's really not a terrible idea to add Burkhead to your rosters in deeper leagues now. But don't bet the bank on a guy who would rely on touchdowns and big plays to be relevant.